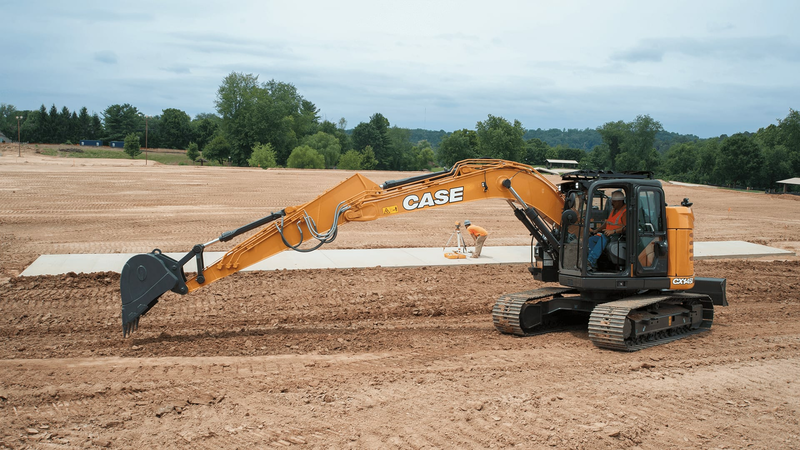 Designed to provide ample digging and lifting power in a small footprint, the CX145D SR features a compact counterweight and modified boom placement. This results in a highly maneuverable and powerful excavator that is easy to transport and ideal for restricted jobsite conditions, such as road and bridge work, utilities, urban construction and landscaping applications. 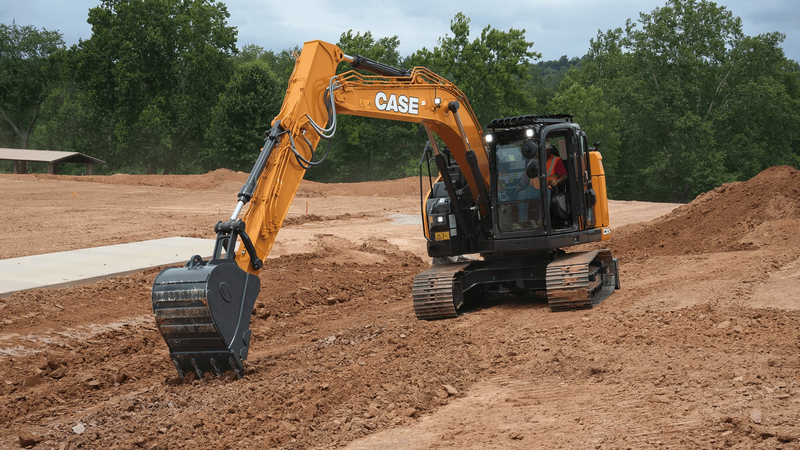 With an operating weight of 32,100 pounds and a 102 HP Tier 4 Final engine, the CX145D SR offers bucket digging forces up to 21,400 foot-pounds and lift capacities up to 21,350 pounds. Options include a dozer blade configuration as well as the choice between either steel or rubber tracks depending on operating conditions and jobsite requirements. Faster cycle times are achieved through a new electronically controlled pump, a larger control valve and multiple sensors. These features enhance the CASE Intelligent Hydraulic System and its four integrated control systems to make the best use of the machine’s hydraulic power and momentum, resulting in added strength and fuel efficiency. 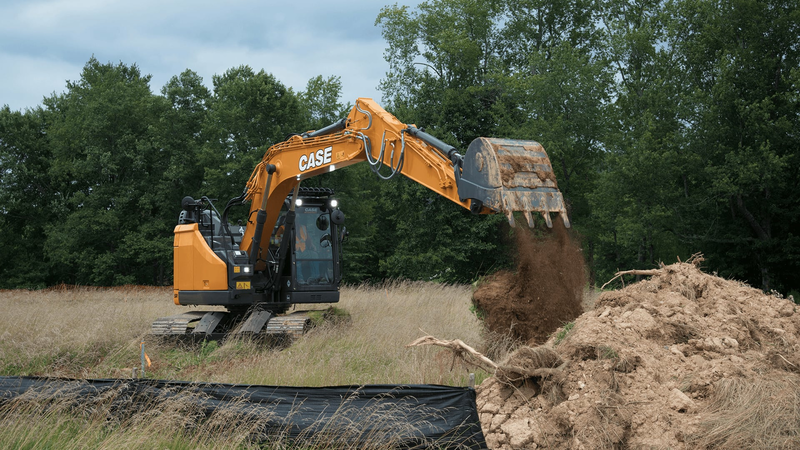 The CASE CX145D SR excavator meets Tier 4 Final emissions standards through an innovative combination of selective catalytic reduction (SCR), cooled gas exhaust recirculation (CEGR) and diesel oxidation catalyst (DOC) technologies, which helps maximize uptime and performance – all with minimal maintenance. There is no diesel particulate filter (DPF), no DPF regeneration or associated lifetime service costs. The CX145D SR features an industry-leading operator environment, with a more spacious cab, excellent visibility, a standard fully-adjustable heated air-ride seat, ergonomic multifunctional controls, and a pressurized, viscous-mounted cab that reduces noise and vibration. Get more working hours throughout the day with ground-level service and fluid checks. 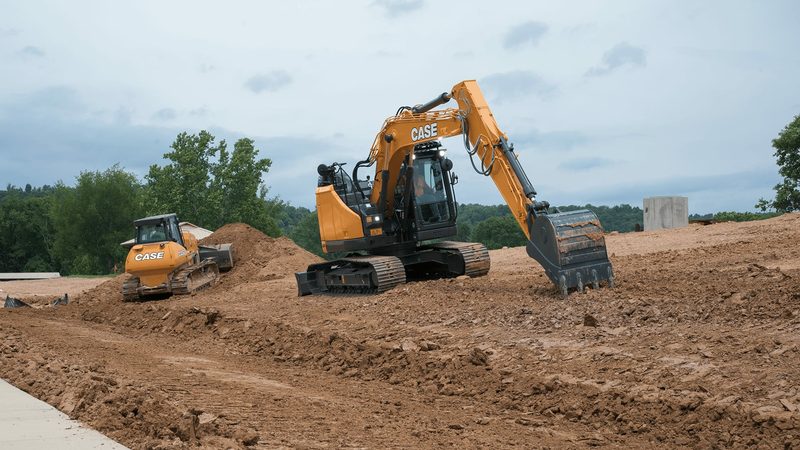 All CASE D Series excavators are covered under CASE ProCare – a suite of product assurances that includes a three-year Advanced CASE SiteWatch™ telematics subscription, a three-year/3,000-hour full-machine factory warranty, and a three-year/3,000-hour planned maintenance contract. ProCare allows business owners to invest in new equipment while helping to make owning and operating costs predictable for the first three years of lease or ownership.